The model ordinance presents a framework for the adoption, implementation, and enforcement of standards to promote the effective and efficient use of wind energy resources. In crafting the original version, we began by analyzing existing wind siting ordinances from various New York municipalities, as well as those from other municipalities in other states, identifying their common features, and seeing what types of requirements have been widely adopted. 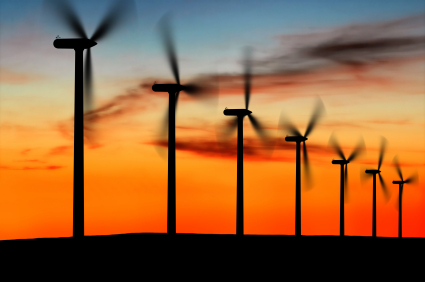 The model ordinance regulates all new wind energy conversion systems, as well as those which begin operating, or are modified after, the effective date of the ordinance. The ordinance includes provisions concerning permits, approvals, operation, and oversight of wind energy conversion systems, and allows for flexibility in adoption within each municipality by including a number of optional add-ons. Both the first and second drafts are annotated with a legal commentary that clarifies areas of potential ambiguity and discusses the benefits and drawbacks of the optional add-ons. The municipal wind siting ordinance accompanies the Center’s model green building ordinance, and model municipal solar siting ordinance, available here. In January 2012, the American Planning Association’s Planning Advisory Service (PAS) released a handbook, Planning and Zoning for Wind Energy. This handbook includes the Center’s Second Version of its Model Municipal Wind Siting Ordinance. The link to the handbook is listed below. A wide variety of municipal wind energy ordinances exist in New York State. This working paper developed by SCCCL discusses the choices that a municipality in New York must make in drafting a wind energy ordinance, with reference to how existing codified wind energy ordinances and model municipal wind energy ordinances have dealt with these choices.